What an Easter! As our 38th Easter celebration at Saddleback Church, nothing compares to this one! Easter week started in prayer as Pastor Rick hosted church leaders from all over Southern California for the annual Easter Prayer Breakfast. It was a time to prepare the hearts and minds of pastors for the celebration of the resurrection of Jesus Christ. At this event, Pastor Rick led over 300 pastors and church leaders in prayer for blessings and protection for all church services. He said, “God is up to something big, so we need to be ready for another big wave.” And he was right! This Easter was by far the largest Easter attendance in the history of Saddleback. Our campuses broke record attendance with a total of over 71,000 people coming to hear about the hope and purpose of the cross and the power of the resurrection. With 91 services at 18 locations, nearly 2,000 people came to know Christ! We counted every person who walked through our doors—all 71,773 of them. We counted every person, because every person counts. Every number represents a story of transformation. Every number signifies a soul that Jesus gave his life for on the cross. Every number matters, and it’s because of YOU that we were able toreach so many people with the love of Christ. Our church family prayed, prepared, served, and invited friends to hear the message of the living hope we have in Jesus. Thank you for making people feel welcomed, wanted, and accepted with love. As thousands of people nailed their hurts, habits, and hang-ups to the cross on Easter weekend, they discovered what it means to be in a second-chance grace place where Jesus meets us in our brokenness. They heard the message of a Savior who willingly sacrificed himself to be broken on the cross to heal our own brokenness. Thank you for doing your part in love and in faith to help build God’s kingdom. Here are just a few things your Saddleback family has been up to this month, working towards the five Daring F.A.I.T.H. goals. April started off by celebrating the anniversaries of launching Saddleback Los Angeles (2014), Saddleback Laguna Woods (2009), and our very first campus launch, Saddleback San Clemente (2006). This month also marked a special commissioning of three new campus pastors and their wives including Matt Hall leading Saddleback South Manila, Fernando Lammoglia leading Saddleback en Español, and Sam Yoon leading Saddleback South Bay. Click here to learn more about what happened during the intimate prayer gathering and hear the vision these pastors have for their campus and city. 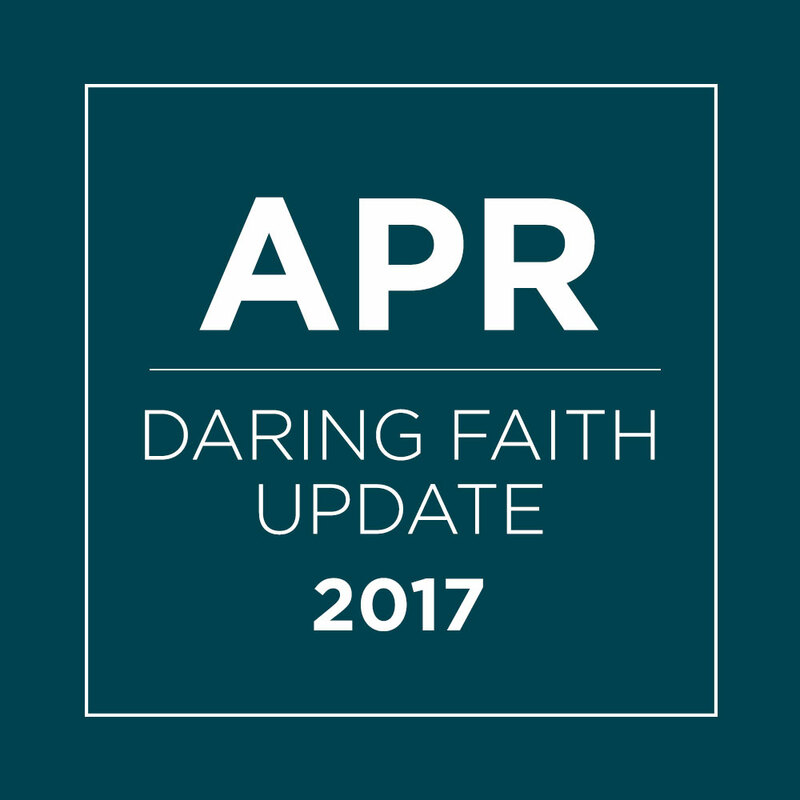 In our recent Daring Faith updates, we’ve shared one-on-one interviews with Pastor Matt and Pastor Fernando. Now you can hear the heart of Pastor Sam and how he plans to transform South Bay through love and unity. Read our interview with Pastor Sam about how he was called by God to shape this campus for Christ. The official launch of Saddleback en Español was a huge success! As our 18th campus, the event brought in 872 people to the inaugural service held at our Lake Forest campus on Easter Sunday. Led by campus pastor Fernando Lammoglia, Saddleback en Español served people from the community who came to experience the vibrant new campus for the first time. As we continue to grow our church family, we pray for God’s direction and we pray for our pastors. Among them is William Guzman, new associate pastor of Saddleback en Español. Together with Pastor Fernando, he will help remove language barriers and build stronger fellowship within Saddleback as we unite as one big church family. Read Pastor William's story here and find out why he is the ideal leader for this partnership. With just three short weeks of planning, our Saddleback Irvine South campus launched an extension to their campus at Portola High School near Great Park and welcomed 350 people. Among them were 100 first-time visitors who heard the resurrection story. Saddleback’s Food Pantry is celebrating its 8th anniversary! In the eight years of its existence, we’ve provided a week’s worth of food to over 72,000 families, served three million meals, and brought 2,100 people to Christ. This enormous undertaking requires ongoing efforts to help meet our Daring Faith “A” goal. That’s why this month we laid the foundation for our new PEACE Farm. Located at our Rancho Capistrano campus, the 1.5-acre vegetable farm is slated to harvest 20,000 pounds of fresh produce for our eight Food Pantries. CLICK HERE to find out how your family or small group can get involved and serve at the PEACE Farm and help serve families in need! Each month, several of Saddleback’s teams—including Production, Video, IT, Communications, and Web—have been working behind the scenes to help meet our Daring Faith “I” goal. Just in time for Easter, these teams united their efforts with Pastor Rick for the development and release of the Journey with Jesus app and the 360 Virtual Video Experience. Click to download or to learn more about this new app which Pastor Rick considers one of the most profound spiritual moments of his life. This month, our Spiritual Maturity team released Leading Like Jesus, a brand new small group study designed for every member of our church. FIND out what makes this study truly unique and how you can learn the skills of leadership that Jesus modeled. From April 21–23, we had 80 leaders from 10 campuses gather for the annual PEACE Leader Retreat. Held at our Rancho Capistrano campus, the three-day event was a time to gather our PEACE Leaders for encouragement, vision, worship, and planning for the coming year. Many new leaders participated in plenary sessions and breakout workshops to learn, grow, and connect with one another and the 401 Missions Team. It was also a chance to pray as a community for unreached people groups around the world. In an effort to meet the “H” initiative, Saddleback is sharing church health principles with churches around the world. Exemplifying this multiplication model is Saddleback’s Global PEACE partnering church (GPC) located in the suburbs of Moscow, Russia. From April 25–27, our GPC partner gathered over 240 pastors to take next steps toward implementing church health principles discussed at the first, locally-hosted Purpose Driven Church Conference. READ how the seeds of PEACE Trips are starting to bear fruit in the growth of healthy churches across Russia.